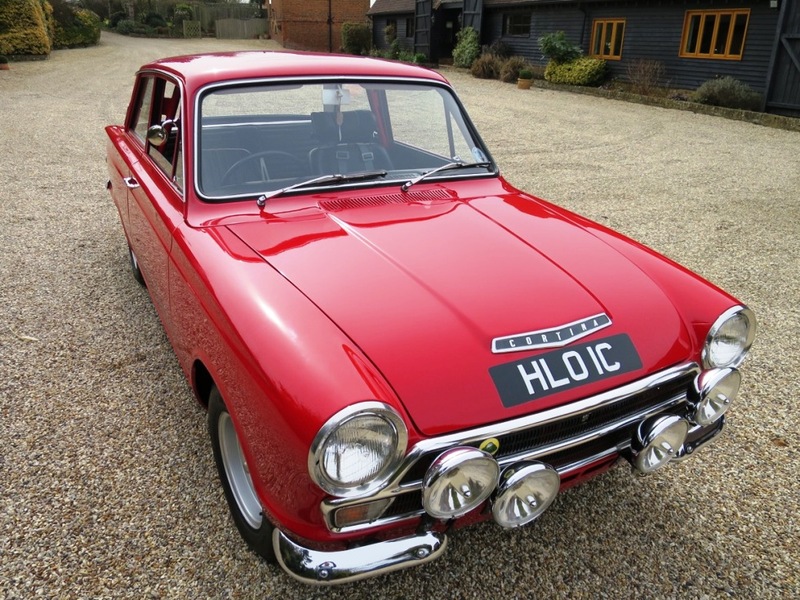 This is a very special Mk1 Lotus Cortina. 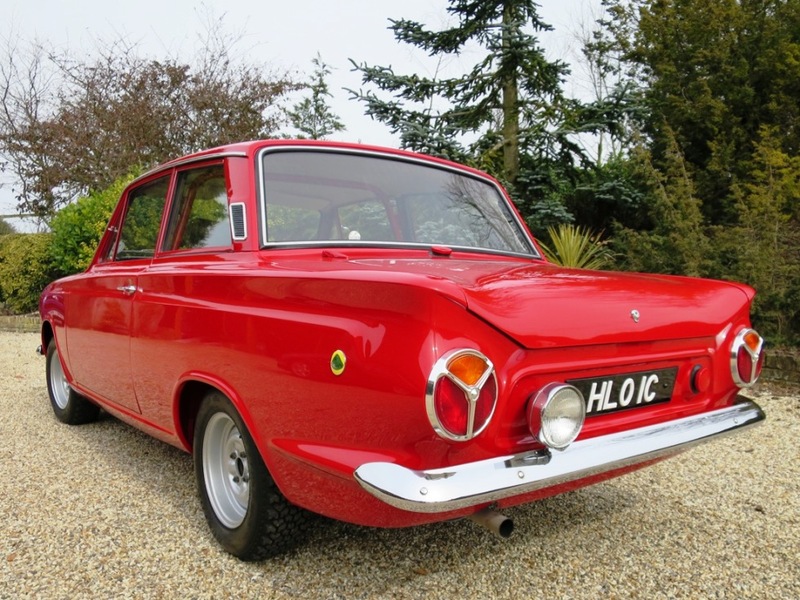 It is the only Monaco Red Mk1 Lotus Cortina made that was sold into private hands, with the other 9 Monaco Red cars made at the same time going to the Competition Department at Boreham to become Ford Works Rally cars. 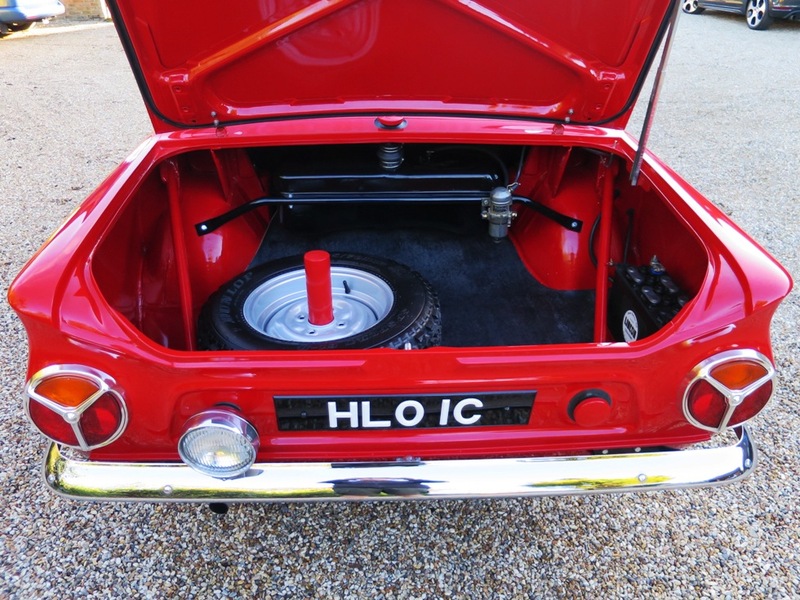 HLO1C (and that is it’s original registration) was made in March 1965, one month after the other 9 red ‘KPU’ registration cars. 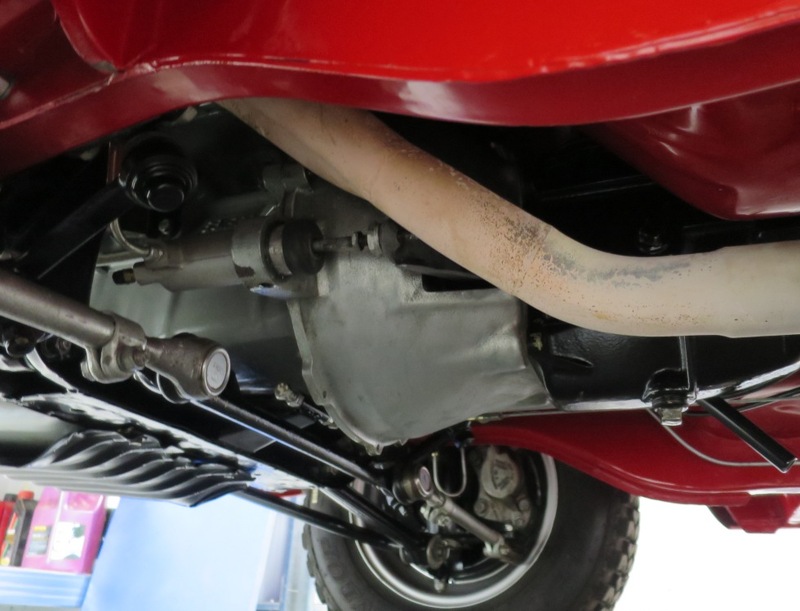 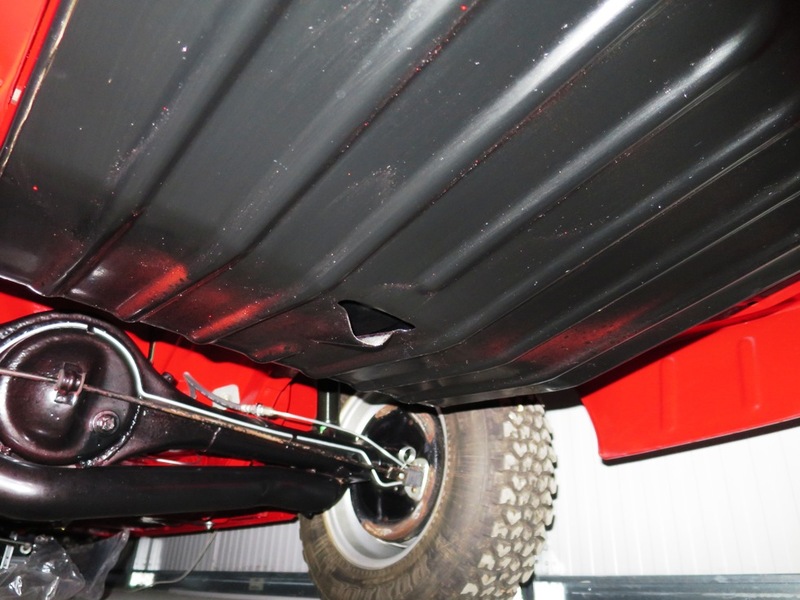 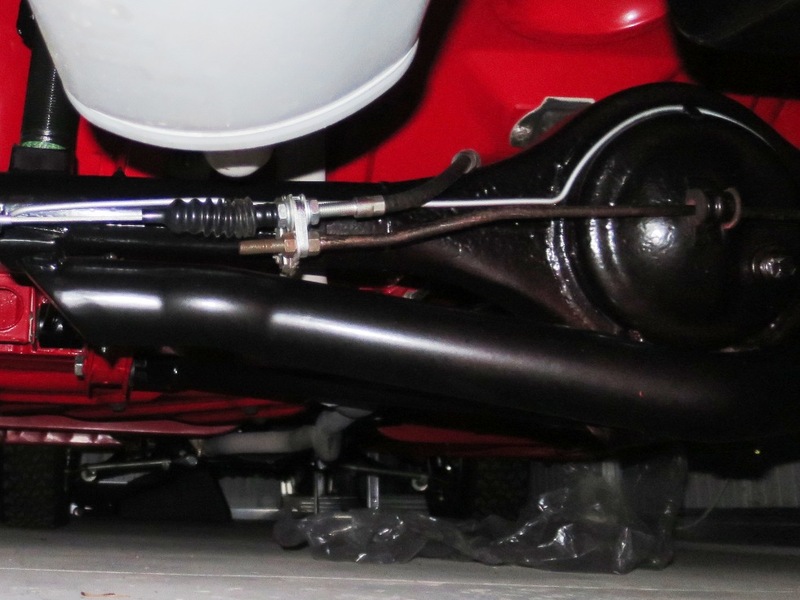 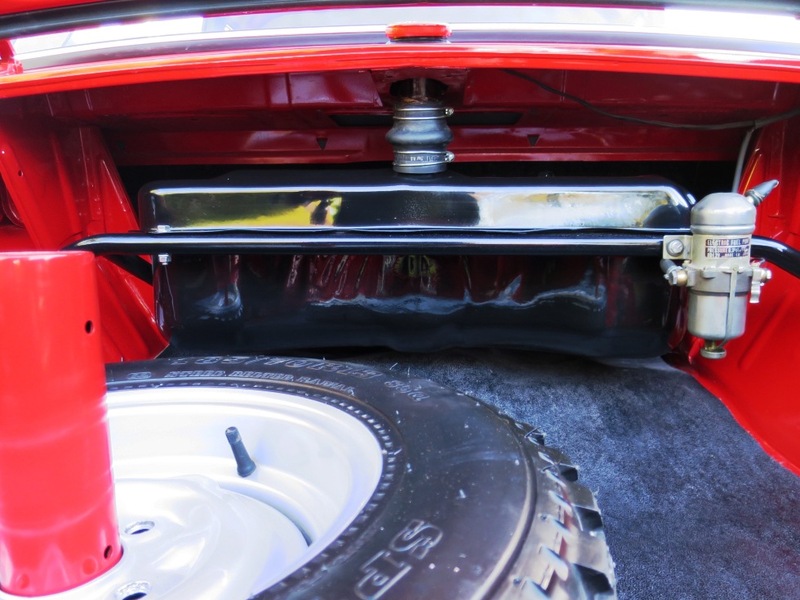 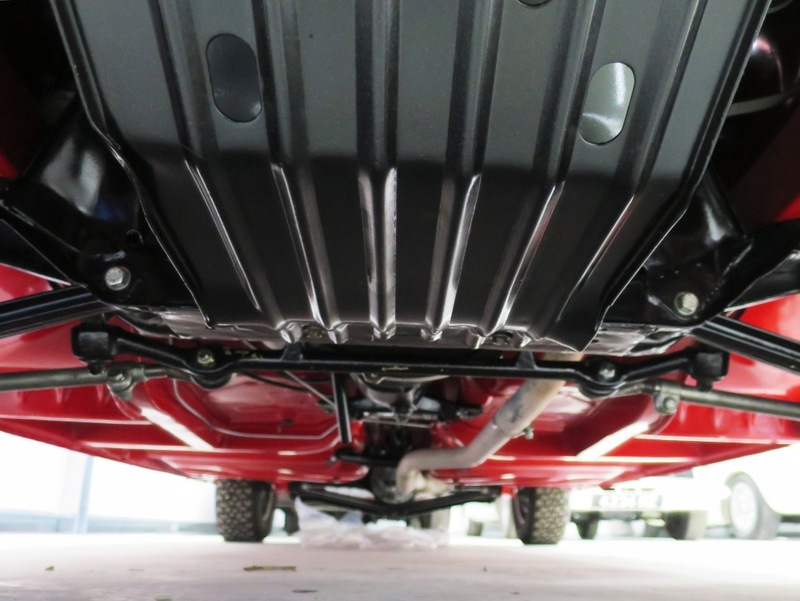 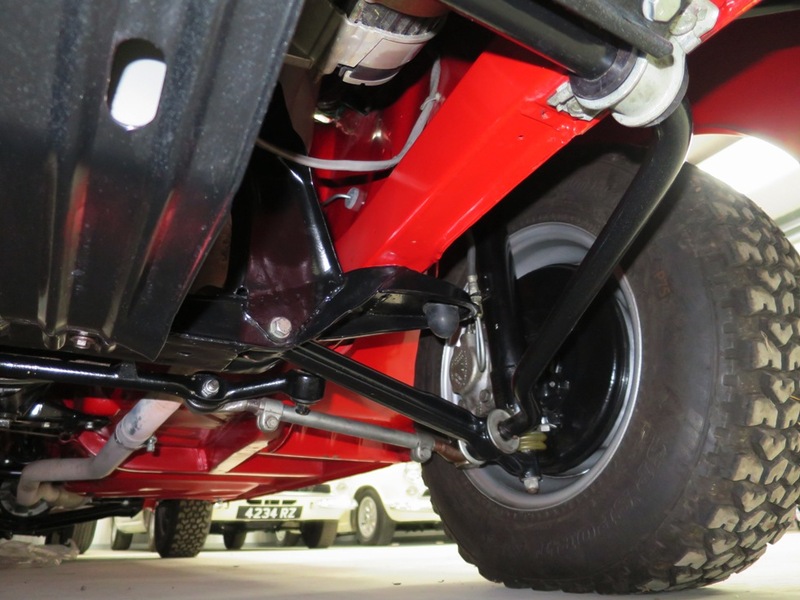 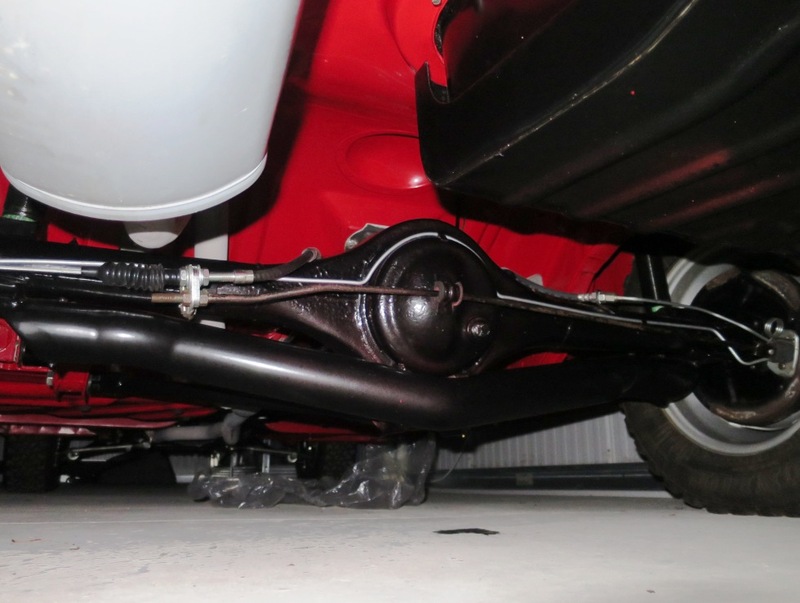 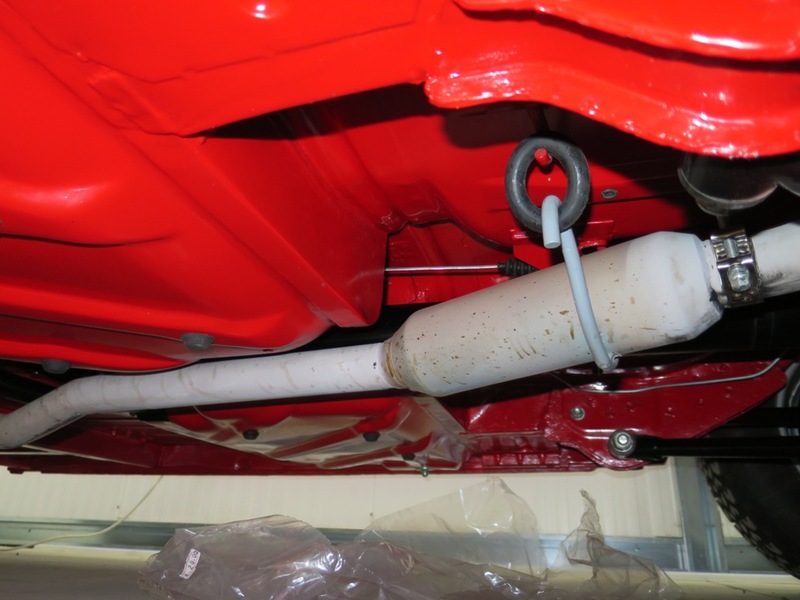 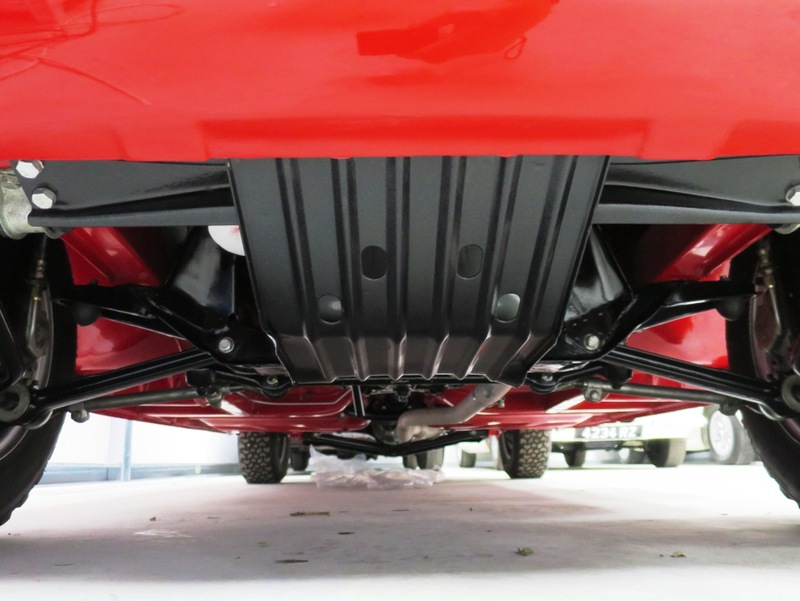 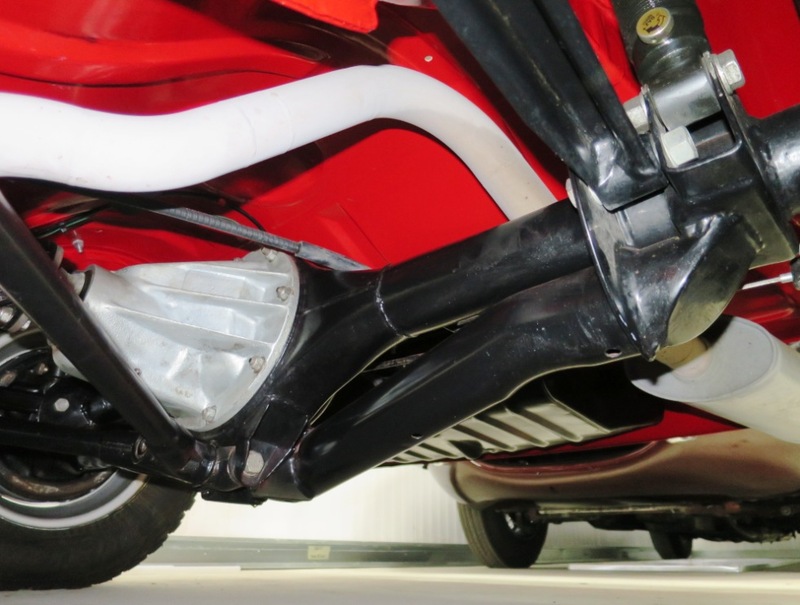 The KPU cars were the first to have leaf spring suspension. 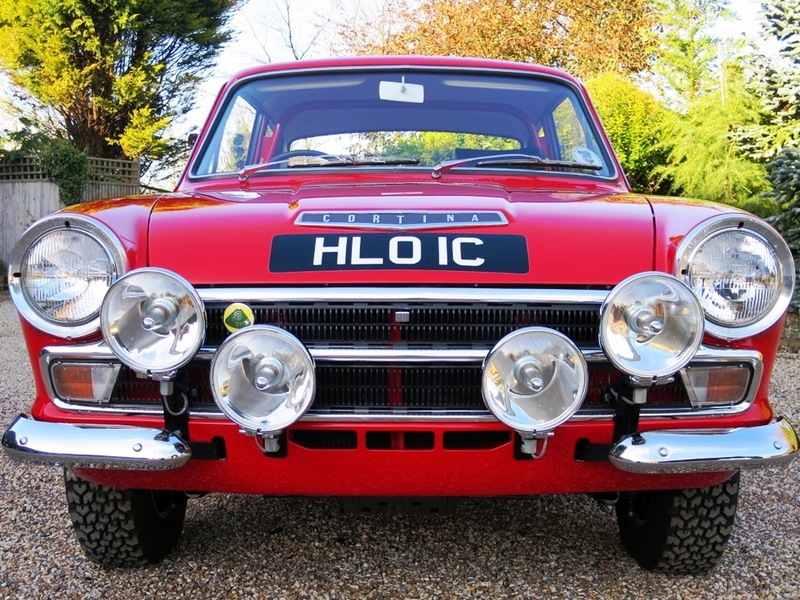 It seems very likely that there is a connection between HLO and the rally cars, as Monaco Red Lotus Cortinas couldn’t be bought ordinarily. 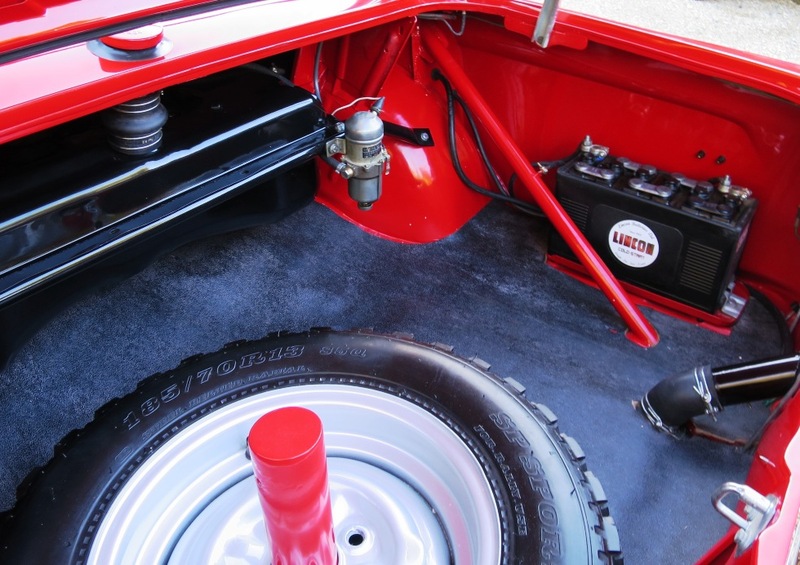 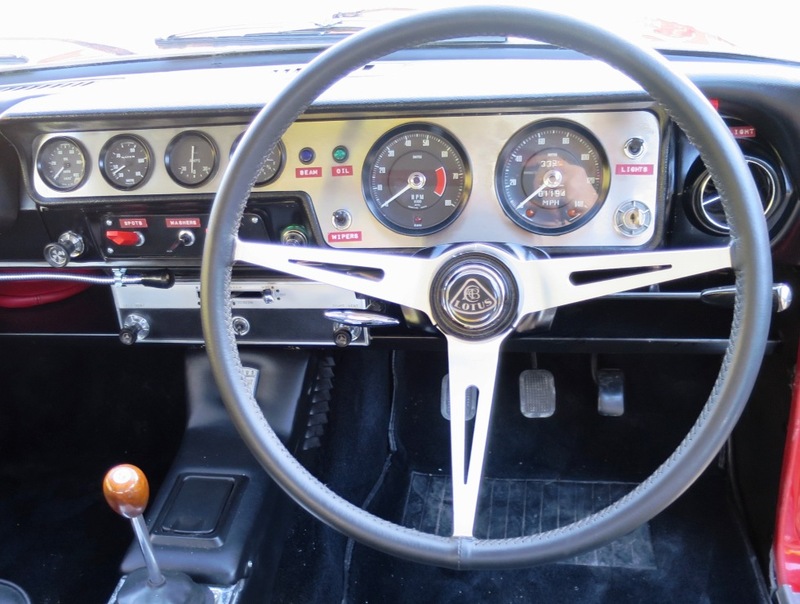 When the car was found it had many rally modifications, including a works petrol tank, so when it was restored it was put back with the correct period modifications and many original works parts. 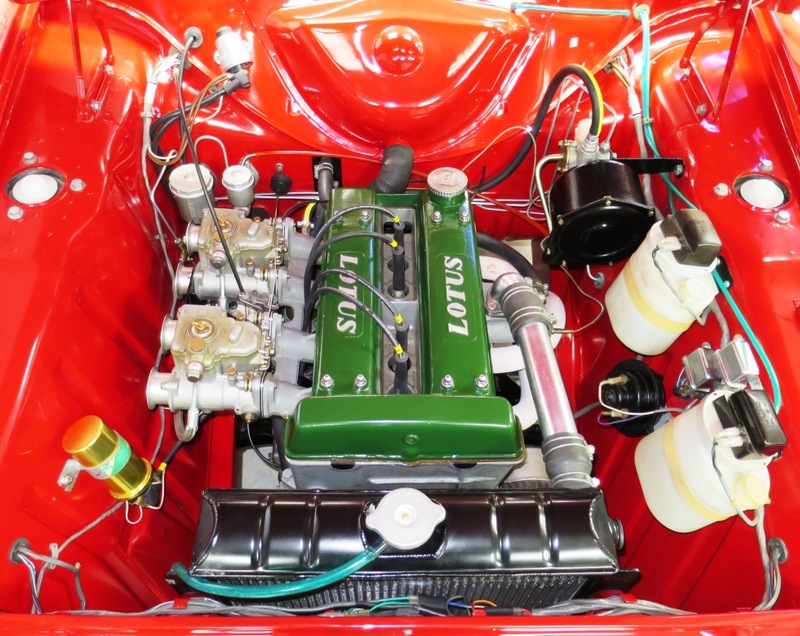 The car is now owned by Ian Turner from Kent, who bought the car in late 2015 from Colin Ginn. 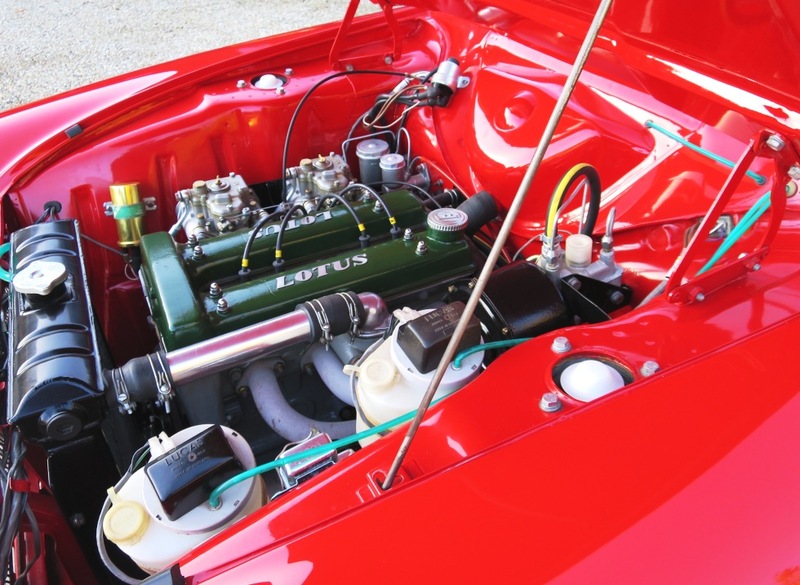 Colin is the preeminent restorer of Mk1 Lotus Cortinas, and he and Keith Halstead (with GBP1C Lotus Cortina Police Car) found the car in 2012, Colin bought it and spent the next few months restoring it back to this stunning condition. 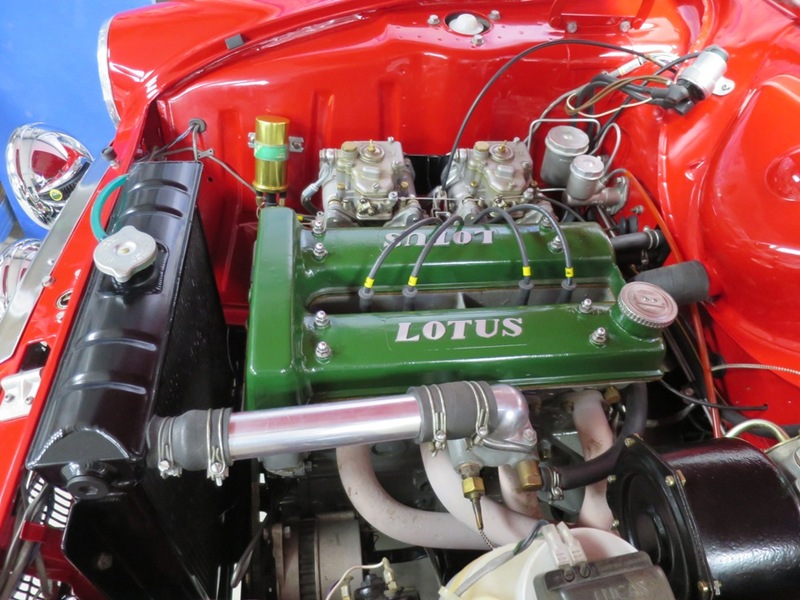 He is a very fast worker, considering that the car was shown at the Brands Hatch Lotus Festival in August 2013, having been restored down to the last component! 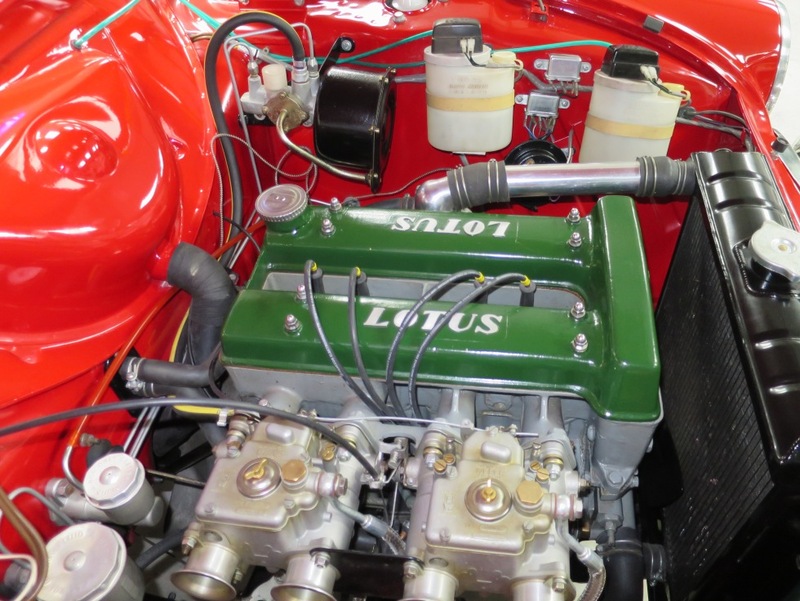 I followed the restoration very keenly, and am very thankful to Colin for supplying the photos of the work completed on HLO. 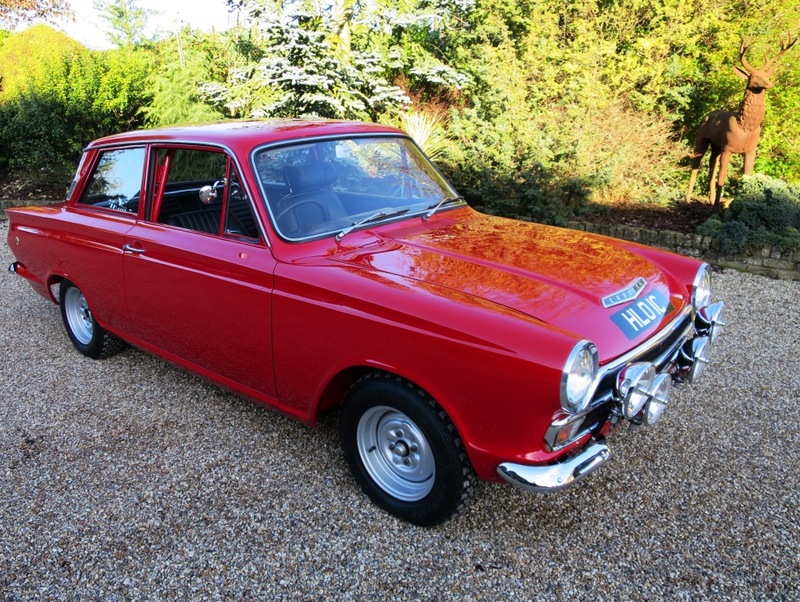 It’s a very easy decision to restore a car back to ‘factory original’, but looking at this car, I am, and I’m sure that many others are, very grateful to Colin for putting the car back to the sort of specification it had in 1965. 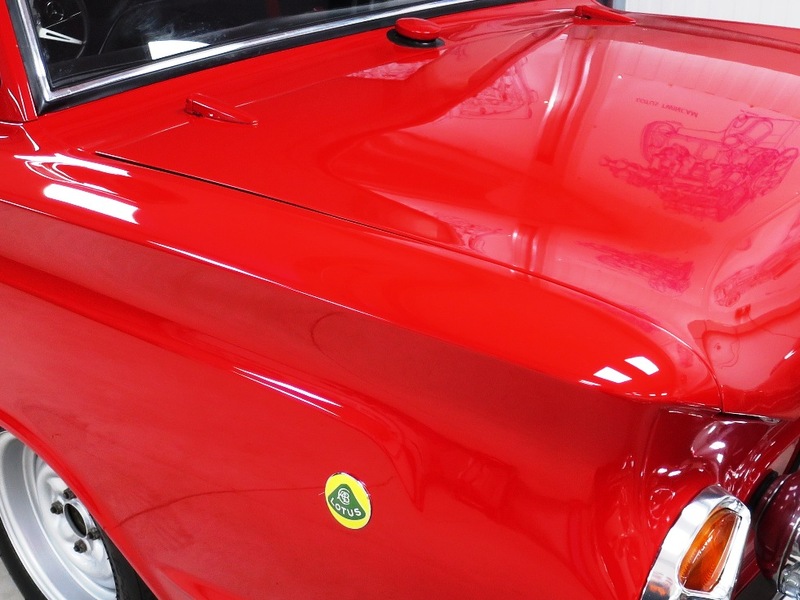 It really does stand out at shows, and not just because it’s the only red car in a sea of white and green! 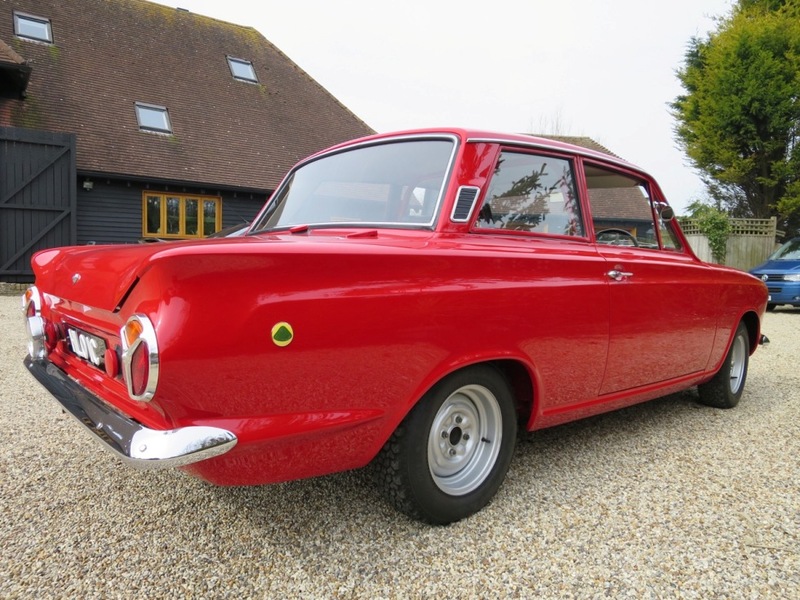 The new owner, Ian, is no stranger to Lotus Cortinas. 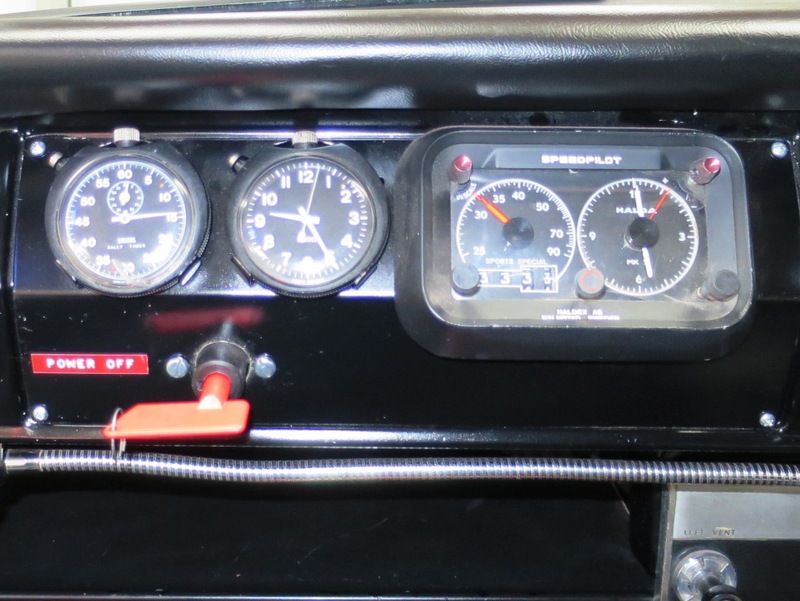 He is currently restoring 175 TJH, the companion car to Will’s 178 TJH featured on this site, and it will be very interesting to see these two cars together. 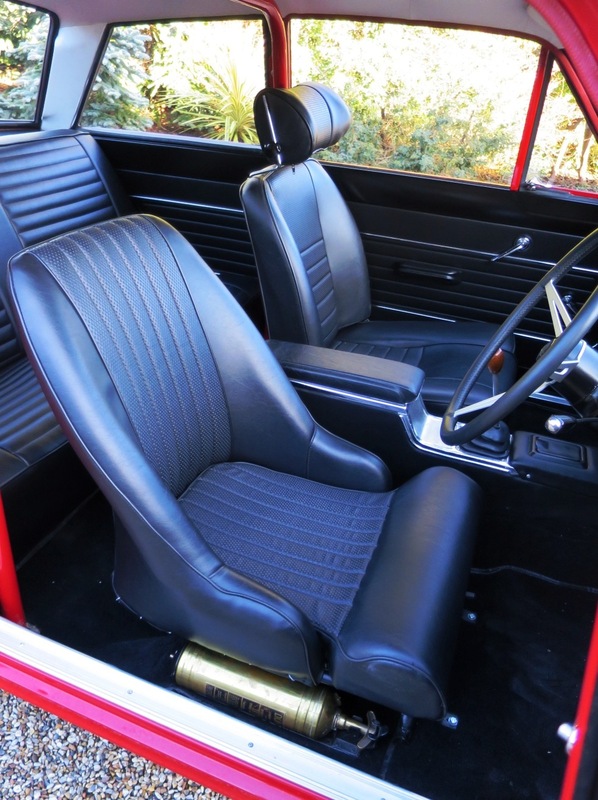 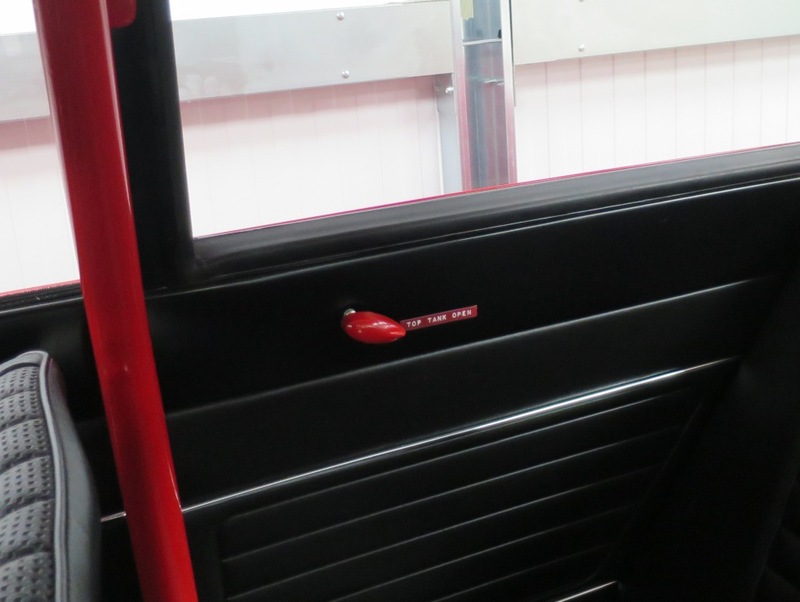 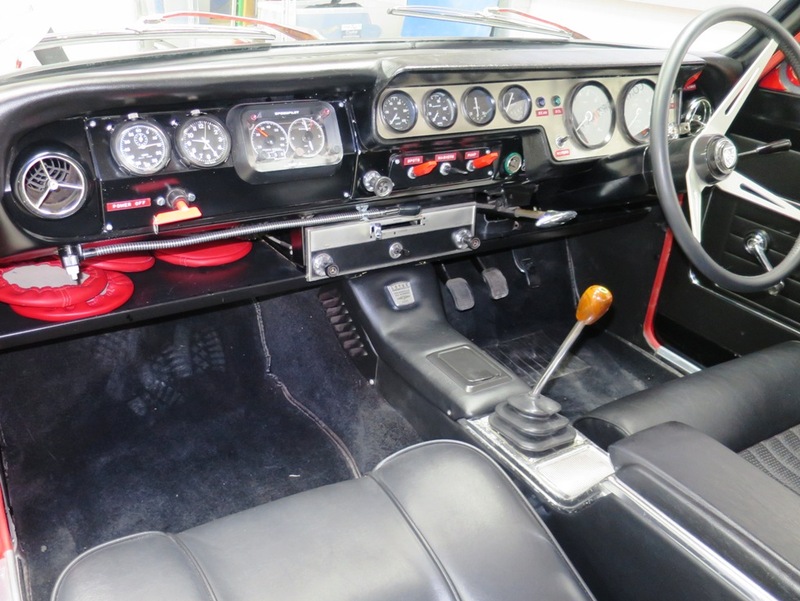 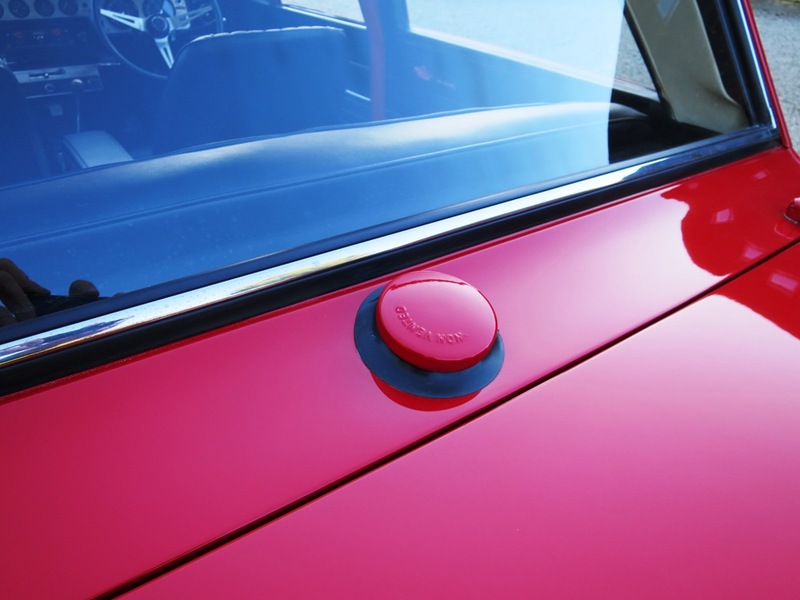 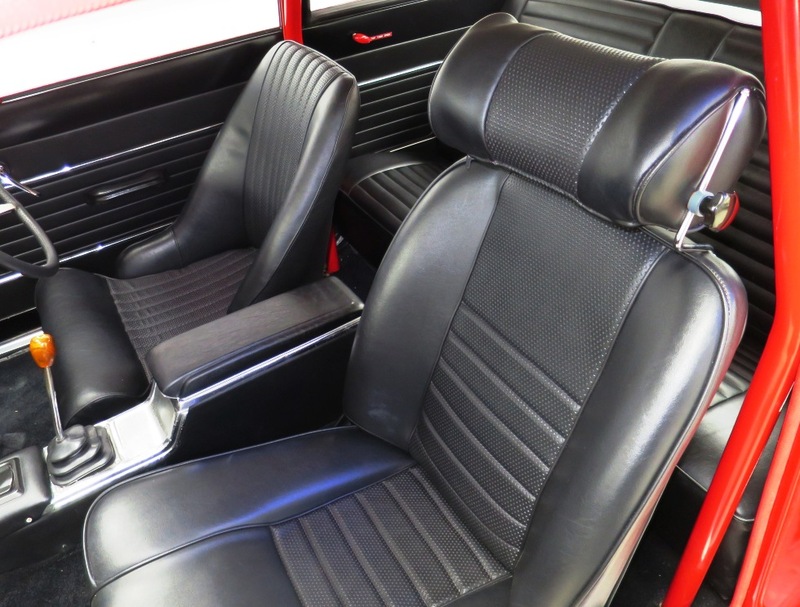 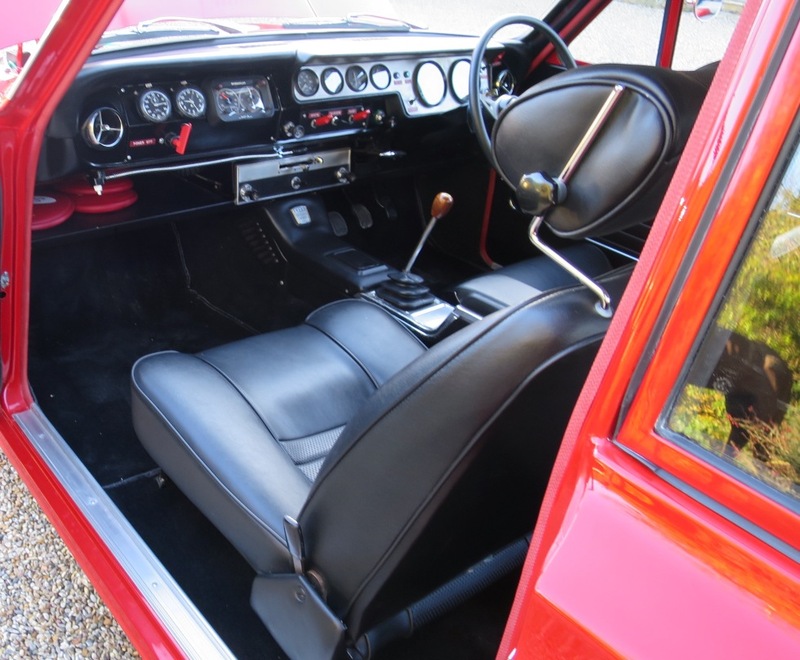 Many thanks to Ian for sharing the details and photographs of his car with other Lotus Cortina enthusiasts. 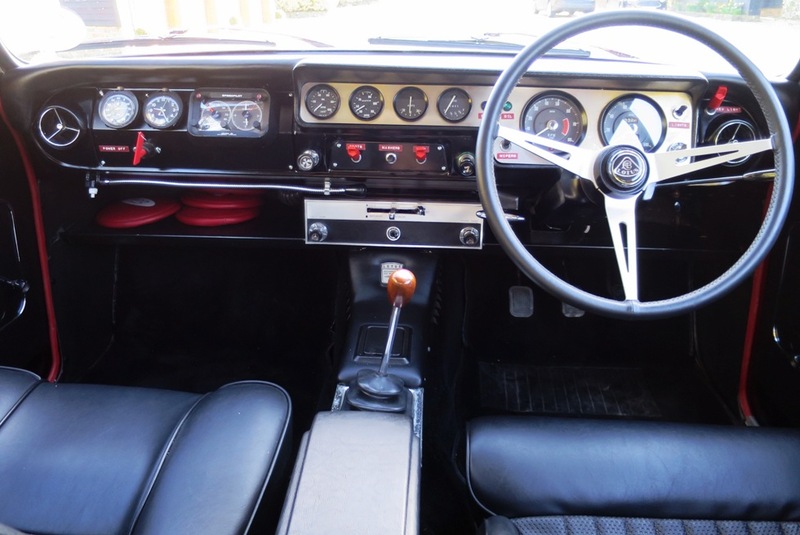 One of the first Lotus Cortinas I ever saw was a red car, KPU 383C, driven by Roger Clark and Graham Robson on the Welsh Rally in 1965, so the combination of Monaco Red and Lotus Cortina evoke some very deep and exciting memories for me.